There have been a couple of threads in the past about Larrivee Custom Shop orders and and also about the "sin" of covering up good wood with paint. I hope to address both of those topics with this post. First, Custom Shop orders can take quite a while to fill so you have to be patient. But when you get exactly what you want it makes all the waiting worthwhile. Last April I placed an order for my "dream machine". It arrived last friday. I will post my thoughts on tone and playability in a separate thread. But I'll share some pics of the new addition here. Specs are: L-05 body with Italian Spruce top, African Mahogany (Khaya) back and sides, JCL logo headstock, flamed maple binding on top bottom and fretboard, and full Sunburst. Most beautiful guitar I've actually held in my hands. 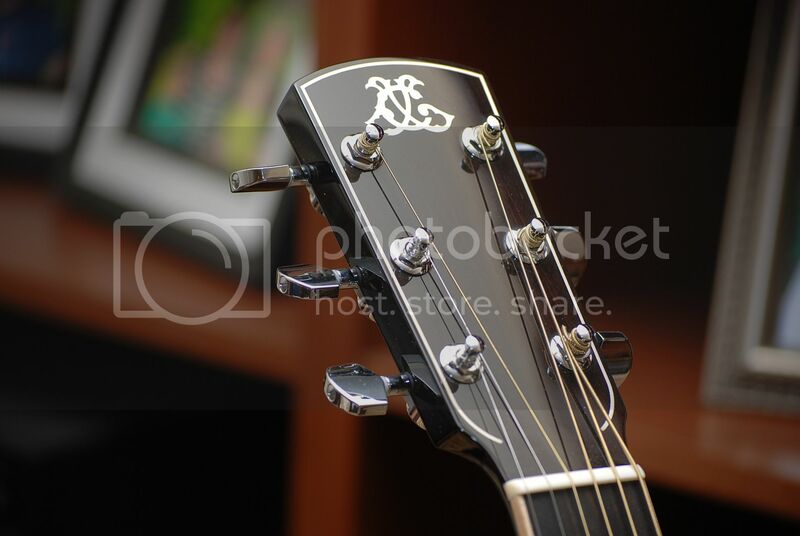 And I love that headstock inlay, too.... did I say WOW ???? Congratulations Lynn! Larrivee Customs are always worth the wait! This one is certainly no exception. I love the burst finish all around, very Classy!. I Love Your New Guitar! Congratulations on a gorgeous instrument! 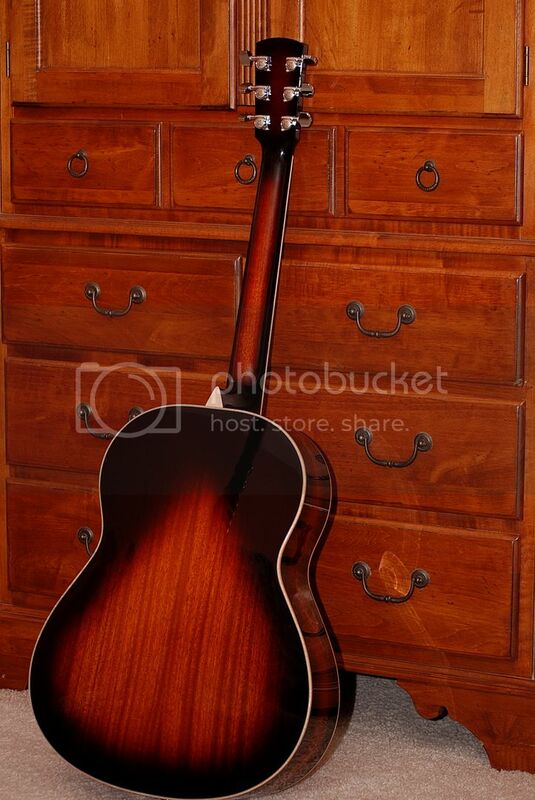 That's one fine looking guitar, the good folks at Larrivee really did a nice job on your dream guitar. Congratulations!! You're a lucky man Lynn! It's so beautiful and I bet it sounds even better. You can add my WOW to that as well. 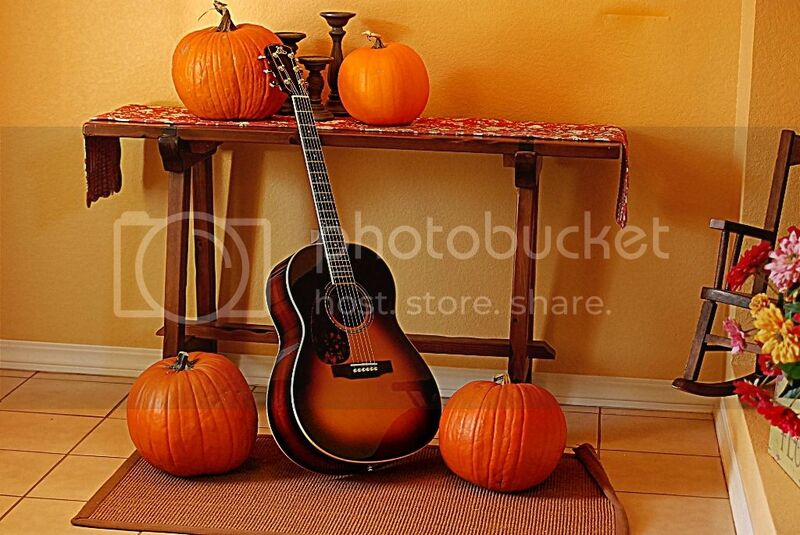 pun intended.Very nice guitar . 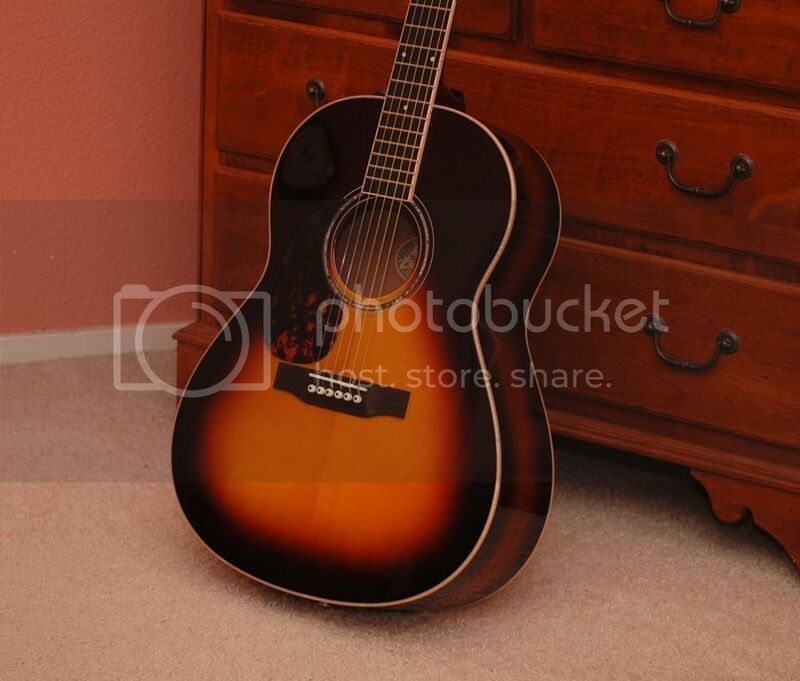 Beautiful guitar bro!!! I'm so happy that everything turned up perfect on your guitar build! BTW ... Tell everyone I'm sorry for not being active on our forum for a looooong time. I took a sabbatical and went kinda' off the grid for a little bit. It was a great experience LOL!!! !